Yeah. The top just came right off. This happened so many times to the point where I told my husband, "For Mother's Day, I need a new sink." I assumed if I wanted a new faucet that I'd need a whole new sink. Turns out, nope, I didn't. I could just replace the faucet. I did a lot of kitchen faucet reviews to find one that I liked. Anyhow, we got one of the best kitchen faucets and then I set to work installing it, because I'm a woman and can do anything. I don't know how to install a faucet. Tom doesn't know how to install a faucet. I know there's YouTube, but I pictured this happening all over our kitchen. And guys, all my chocolate is in there. No, what happened was this: we went to my husband's favorite place Lowes and picked out a faucet. Then we paid for someone to come out and install it. And it's one of those magnetic ones so you can pull it down and it can click back up. Most people probably already have something like this, but to me it's amazing. We've only ever had cheap faucets before because we've always lived on base. Plus there's a soap dispenser. "We're fancy folk now," I told my husband. "We have a soap dispenser." I am serious when I say I'll take the new faucet as a Mother's Day gift. So if you need a new faucet and don't know what you're doing, go to Lowes! Haha!! My dads a plumber. I miss him so much in Boston!! He did all that stuff for me! Congratulations! I'm not sure if husbands really get how awesome it is to have a new faucet. That's great that you saved yourself the DIY danger and had someone do it for you. Enjoy! My husband just asked me today to go to Lowes to pick out a faucet. I didn't go lol.He showed me the one he wants. I like the one you installed. Haha this post cracked me up! I could so use a new faucet in my kitchen but since it's a rental... Screw it! Liking the new faucet!! Great tips, as a female I could definitely use this if i were ever home alone! Goodness knows I wouldn't know where to start! I don't know one thing about changing a faucet. I have to go to Lowes :). I like the facet you picked out. I wish I had double sinks. hahah- thats funny, i wouldn't know how to change it either! but that looks like a cool faucet! Oh wow! 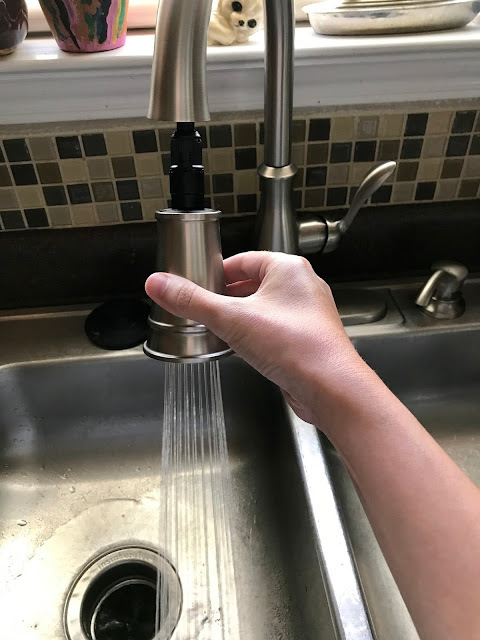 I really need to upgrade my kitchen faucet soon, so this was really handy! Lowe's knows me by name by now! We had to get a new faucet recently and we did get a magnetic one! Such fun! And it had a soap dispenser already!!! Whee! Ha! 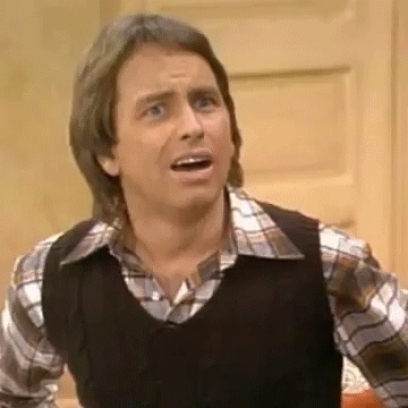 That look on John Ritter's face is priceless. That's my exact look I get when I see the instruction manual for things like a faucet! We actually just installed my sister in laws faucet on our own. It was a lot easier than I was expecting it to me! I love your new faucet!!!! It really is easier to replace one than you would think. My faucet needs replacing too but husband hates doing the work. I might just have to get Lowes to install it. Story so funny. Congrats on the new faucet! Pretty!! I love a good faucet with an extendable arm. Nothing is worse than a leaky faucet's poorly-timed drip. ahahaha well said! What a funny post! I can only imagine how annoying it must have been....drip! Im actually laughing out loud! Agree. Usually, the home inspector should check this if you haven't else the replacement expenses just add up. How nifty! That's cool! Now I can do it myself! You make it sound so easy. Its alway a good thing to know because you never know what will happen in your house. Lowes does have great tools. I actually went to them not when replacing the faucet but when replacing the garbage disposal machine. That was a lot of work. But I felt very accomplished when I was done. So glad you're enjoying your new faucet ... and the soap dispenser as I get why that's a nice feature to have. You were smart to get someone else to install it & I'm curious how you found that person? Was it a recommendation from Lowe's or did they actually send someone out? No, Lowes has people they call out :) I think they work with certain companies and they'll send someone from there. 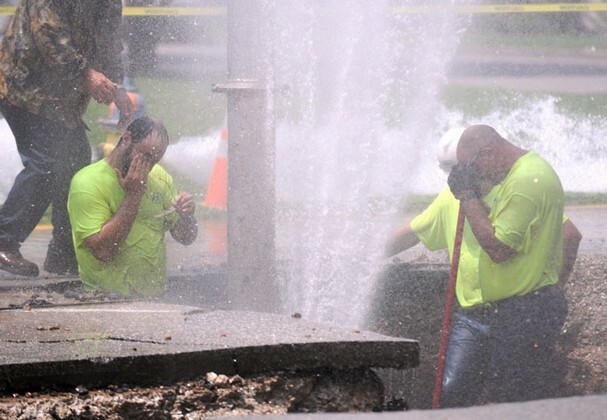 We had a good plumber come out. I would have no idea how to install a faucet either! It's definitely worth hiring a professional to avoid flooding your kitchen! I love the new one. We do have one thing in common... We search youtube for everything!!! xD How to do this, how to do that. I even searched how to make a paper boat for Elias! But I think I prefer the one you have, more useful. I definitely don't know how to install a kitchen cabinet and would have hired someone to do this (if my bf wouldn't tackle it). I'm too worried about flooding the house. We need to replace our kitchen faucet. I think your choice is beautiful. I love the spray nozzle and the soap dispenser. You is fancy folk! I'm laughing because we literally just had the same exact thing happen. Currently off to find a new faucet. I find that home improvement stores and Youtube are a great help when you want to fix anything in your house. I've built four kitchens using the Ikea cabinet system. They are great. The instructions are straightforward and there are video to help you. I hate having to fix things around the home, I am so not diy minded! I love the faucet you chose. Its so modern! I tried to replace a faucet once, just the simple kind of faucet, and it took me hours (and lots of wasted water) to finish the task. The next time I encounter this problem, I will do as you did. I will go to Lowe's, pick a faucet, and ask someone to come and install it for me. Love the faucet you went with. It's amazing how much a new faucet can update a kitchen. That is a fancy looking faucet you got! I have to check that out at Lowe's too. I am very handy and I probably install it myself. But of course, my husband would insist on calling someone else to do the job. I remember the bidet coming off and there was water everywhere, now I'm traumatized! I quickly learned that there's a knob that you can turn to keep the water from flowing. Silly me. Lol. Thanks for the tip! LOL, your reaction photos are a little two relatable. Great post though-- definitely time for me to update mine! haha the pics just make this post even better. I want to replace mine. Glad it's easy! I would not know where to start! I'm useless when it comes to DIY. Lucky hubby is pretty handy with stuff like this. 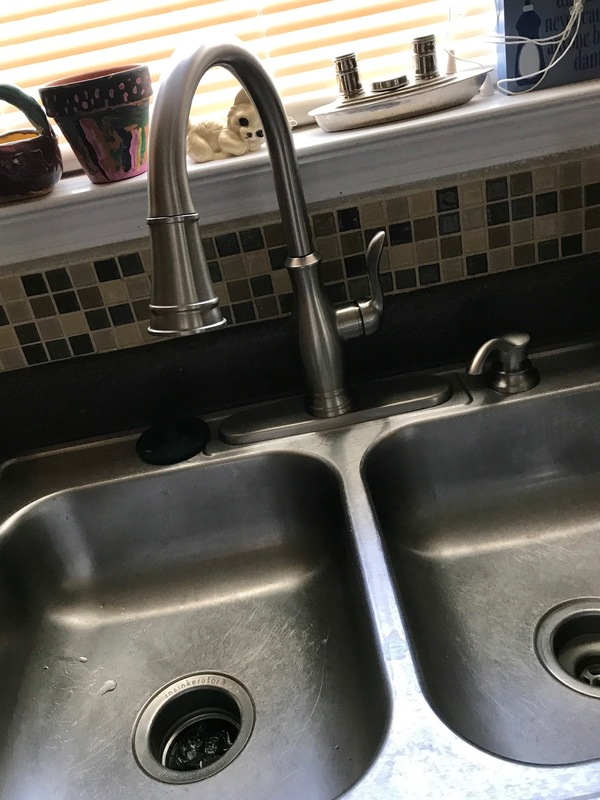 I am really needing a new kitchen faucet. I want one of those fancy dancy ones. I would love one for Mother's Day! My Husband and I are in the process of renovating our kitchen and will be changing out our kitchen faucets. I will definitely be saving this for later once we are at that step. We have terrible lime scale in our water so I'm always replacing the taps in our house. I'm a bit of a master now.